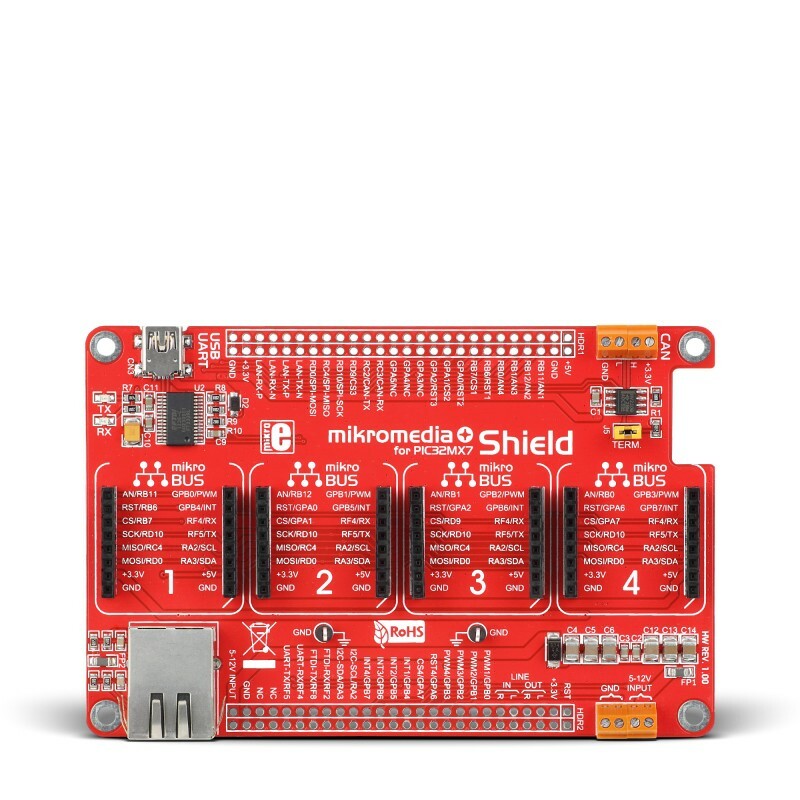 This board provides a compact high-quality multimedia development platform for PIC32MX7. The increased size provides room for numerous onboard modules that allow you to write multimedia applications. Internet of things - check! The onboard SPWF01SA WiFi module has its own STM32 MCU, with full featured TCP/IP protocol stacks integrated. Huge touchscreen in 800x480px resolution brings awesome graphics and vivid colors. 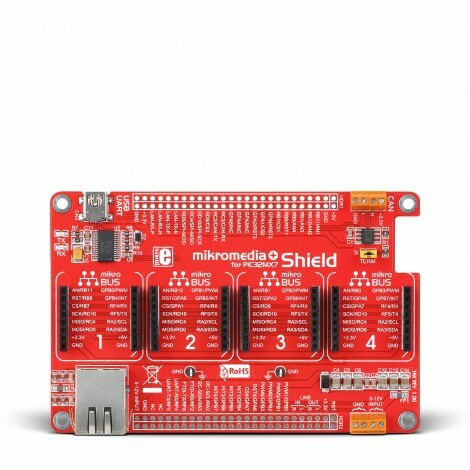 Applications Shield provides the most convenient way for connecting Click additional boards with your mikromedia plus for PIC32MX7. Key Benefits With the onboard mikroProg programmer and debugger, there’s no need for external programmers, just plug in the USB cable and there you go!